Disclosure: I received a free stay at The Lafayette Hotel and a tour with Hidden Marietta as part of a press trip in Marietta. This did not influence this review. All opinions are my own and may differ from yours. 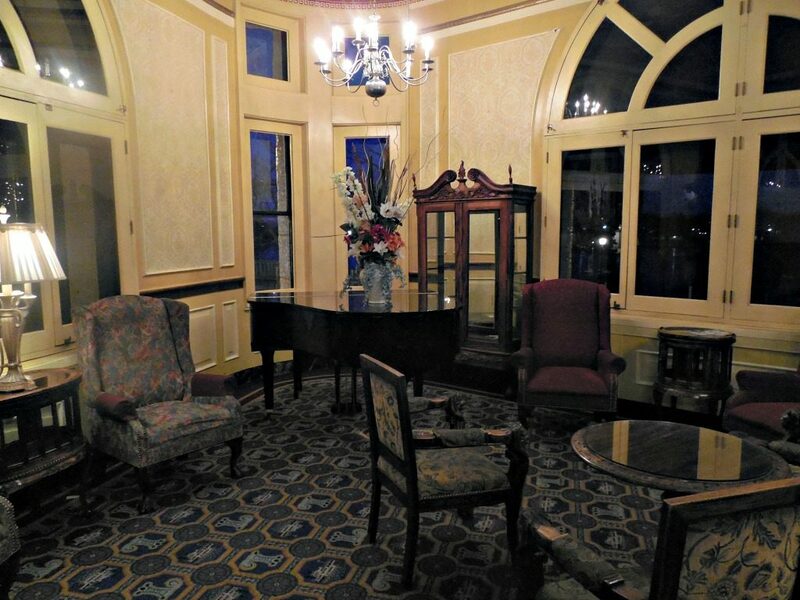 When you are looking for a place to stay in Marietta, Ohio, look no further than The Lafayette Hotel. The Lafayette has 13 different room types from which to choose. There are 77 rooms in total, and they are all unique and are decorated in Victorian themes. My room was a queen room with a sitting room and a view of the Ohio River. I loved it! It was so comfortable, and I had room to spread out. The Lafayette is a pet friendly hotel too! For a $50 deposit, you can bring your pets with you. When you check out, as long as your pets haven’t done any damage, you’ll get your $50 back. The manager was sure to point out that extra cleaning goes into the rooms after pet owners check out. Rest assured, your room will be clean and comfortable. One of the great reasons to stay at The Lafayette Hotel is its interesting history which the hotel manager graciously shared with us. I am sure you can request a meeting with her during your stay to learn about its history from her as well. 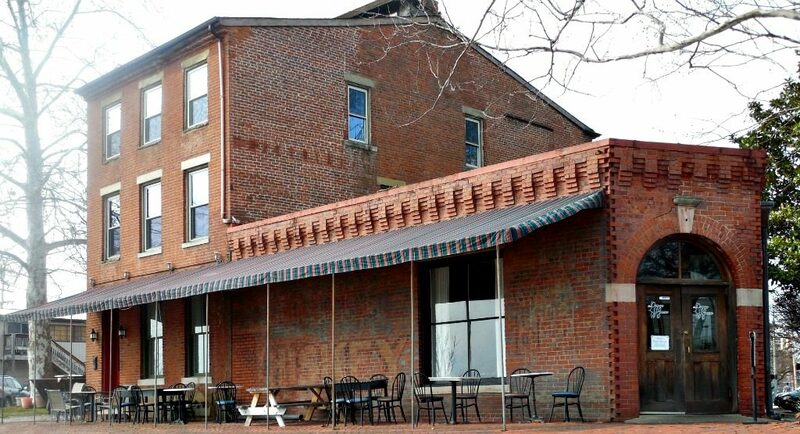 The Lafayette Hotel is the oldest hotel in Marietta and was originally called The Bellvue. 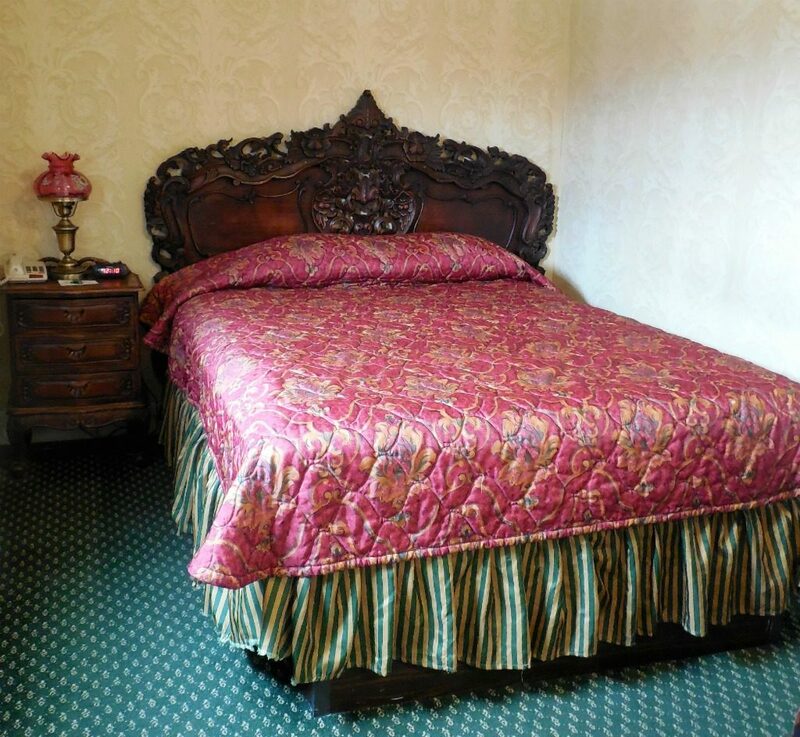 The Bellvue was built in 1892 as a luxurious hotel featuring steam-heated rooms and hot and cold baths. In 1916 The Bellvue was destroyed by a fire. The Lafayette was built on the site and opened in 1918. In 1936, the Hoag addition was added to the third floor of the hotel. The hotel was owned by the Hoag family until 1973. The hotel went through several changes and was more modernized. 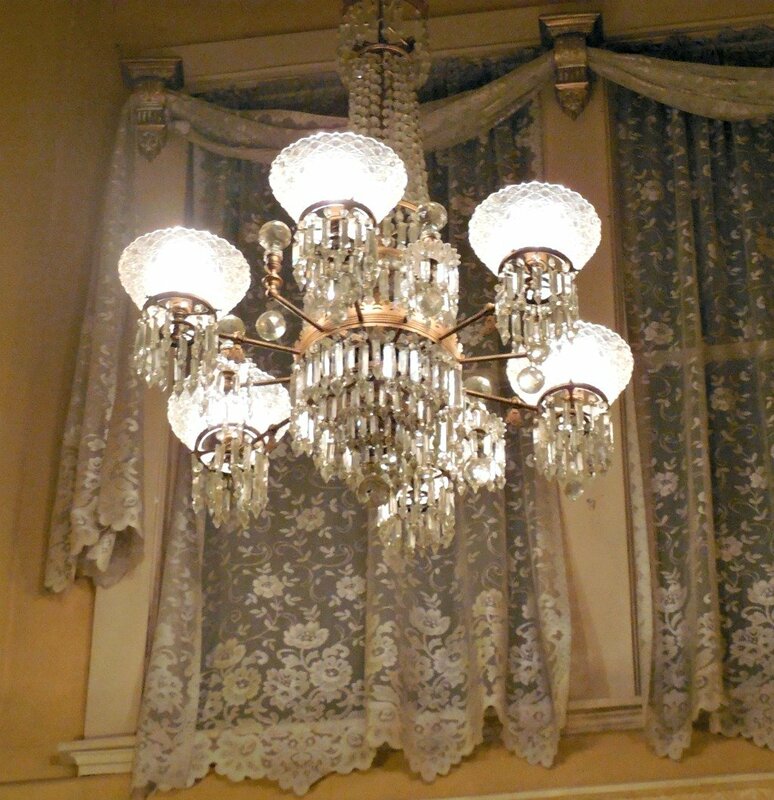 In 2004 the rooms were brought back to the Victorian themes which you see today. And here is where our Hidden Marietta tour guide, Jessica, took over and told us about the haunted history of the hotel. Hidden Marietta’s office is located in The Lafayette Hotel in the basement level where Jessica tells us, three spirits are purported to have been seen. She told us that several of the staff refuse to use the women’s restroom on that level since a woman’s spirit is said to have locked the doors and turned out the lights. Some have also claimed to have seen a little boy outside of the women’s restroom. Mr. Hoag is also said to be hanging around, mostly on the third floor. I asked Jessica if any major paranormal groups had been to The Lafayette to investigate. She told me that Marietta had been very hush hush about the “haunted” history of its town until 2008. Who knows? Maybe the guys from Ghost Adventures will take a trip to Marietta now. 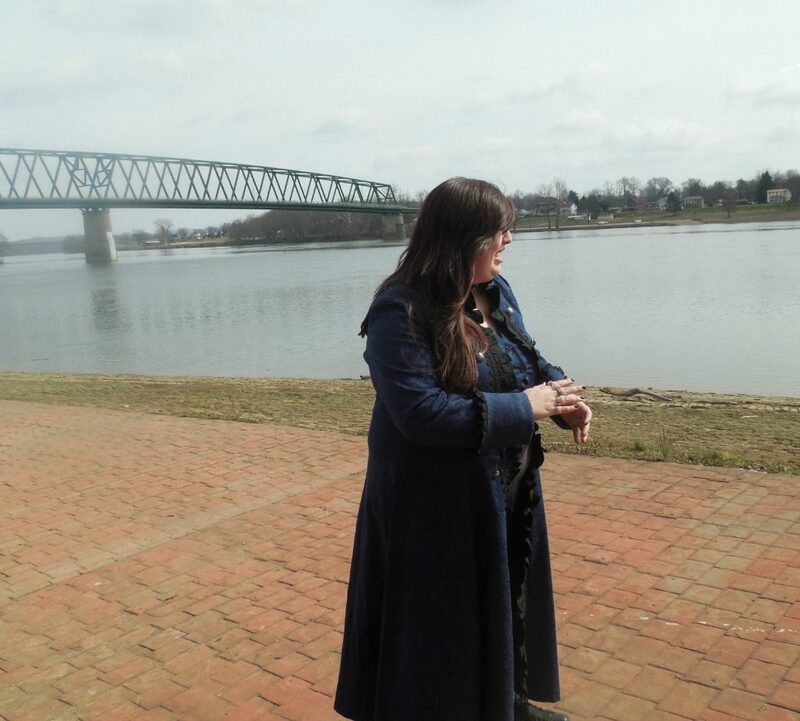 My tour group was taken on Hidden Marietta’s Ghost Trek through the town which started right outside of our hotel on the banks of the Ohio River. From the bank, you can see a small island which once held a hospital where people were pretty much sent to die. If you did make it off of the island, you were very fortunate. After the hospital shut down, a carnival was built on the island where during the day families enjoyed food and fun. 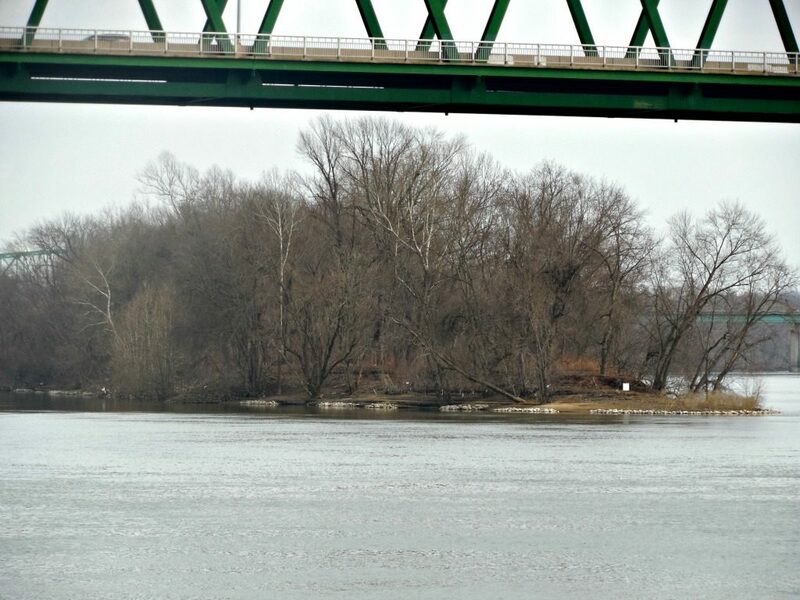 At night, the island turned into “sin city.” In the early 1900’s everything on the island was washed into the Ohio River during a flood, and the island has been uninhabited since. This island is also purported to be haunted. Our guide took us through the streets of Marietta and stopped to show us where claims of ghostly sightings have occurred. Some of the locations are places where murders took place and others are ones where people have claimed to have experienced sightings. 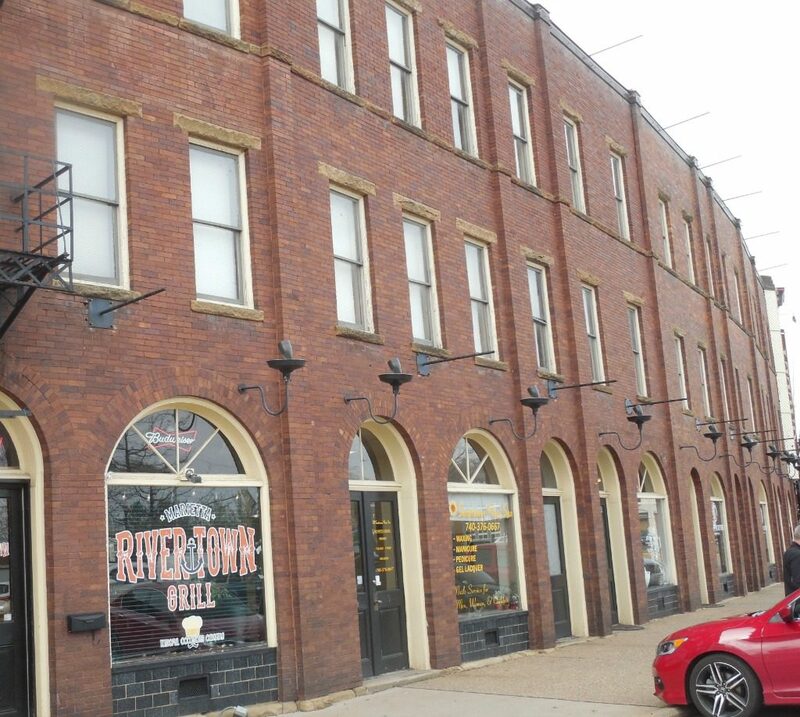 Along your tour, you’ll visit sites of brothels and saloons. You’ll see the site of a former sanitorium and a grocery store, and you will learn a lot of interesting history during your trek. I don’t want to give away the facts because you will want to take this tour on your own! Regardless if you believe in ghosts or not, this was a really fun and informative tour. Hidden Marietta offers other tours such as the DISASTER! Fires & Floods. It was really interesting to learn that the first floors of many buildings are now the basement since the town had to be built up a level. You can see signs of the floods and fires all over town. 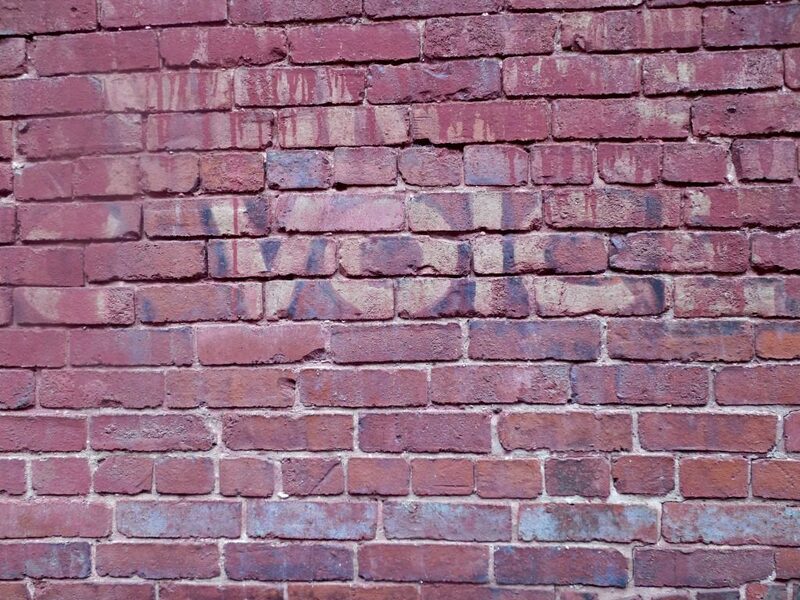 Putnam Street Ghost Trek on Fri. and Sat. 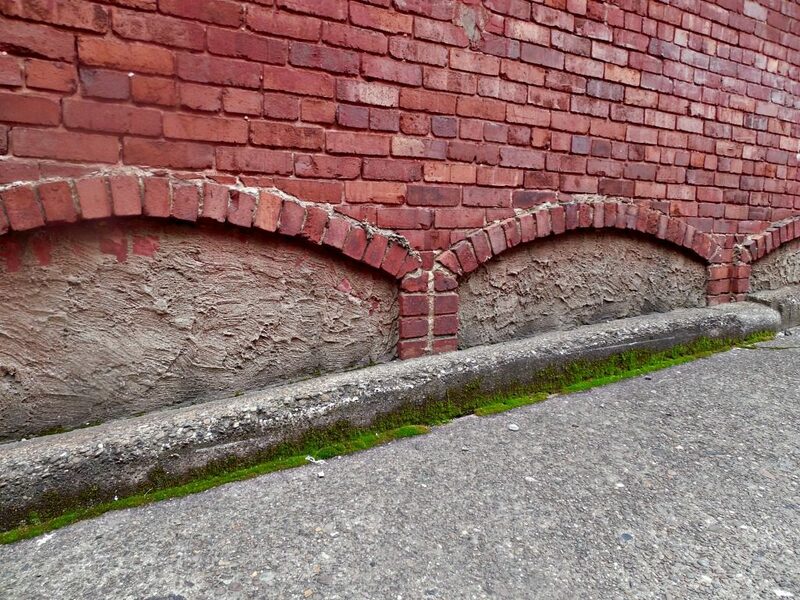 at 8pm May-Oct.
Front Street Ghost Trek on Thurs. and Sun. at 8pm May-Oct.
You can find out more about the tours and how to schedule on their website. 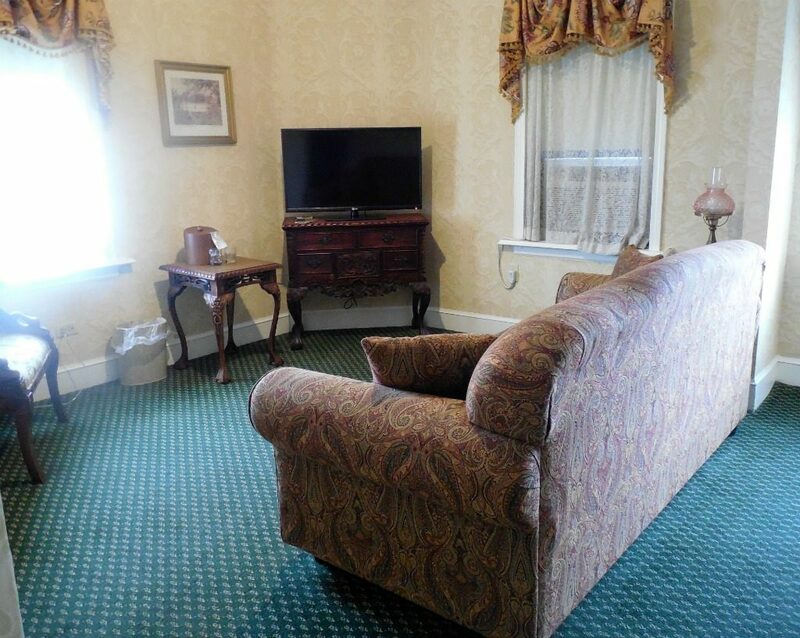 To book a room at The Lafayette Hotel, you can call 740.373.5522 or toll-free 800.331.9336. There are special package rates available which you can find on their Specials & Packages page. Lafayette sounds like such a fun place to visit. I would love to explore more of the south someday! You should! There’s a lot to do. It’s right on the border of West Virginia and there is lots to do there too. I feel like I’ve stepped back in time! The Lafayette is beautiful and I love the Victorian decor. I enjoyed reading about the history of the hotel and I would love to take a couple of those tours. I’d love to go back and do more of the tours too. I have never stayed at this particular hotel in this city. I have stayed in this hotel chain before. The rooms are always comfortable and clean. Staff is always helpful. This one isn’t part of a chain, but the staff was very nice. The rooms were beautiful. I enjoy hearing about the history of people, places and things. How interesting to see the first floor of the buildings half buried. I’ve never taken a cold bath and doubt that I ever will by choice. Great to read that you enjoyed yourself so much. I wouldn’t take a cold bath either, but I guess if I didn’t have the money for a hot one, at least I wouldn’t smell lol. This sounds like an amazing hotel and town. I have been through the town in the past but have never really spent much time there, but from what you have shared it sounds amazing! You should stop and do one of the tours for sure. It is very cool! I would love to check out this hotel. I like checking out areas that have never been to before I think it’s so interesting and intriguing to see other parts of the country or world. Hopefully one day I will have to check it out because it looks like a great place to stay. Yes, if you are in the area it is so worth the visit! 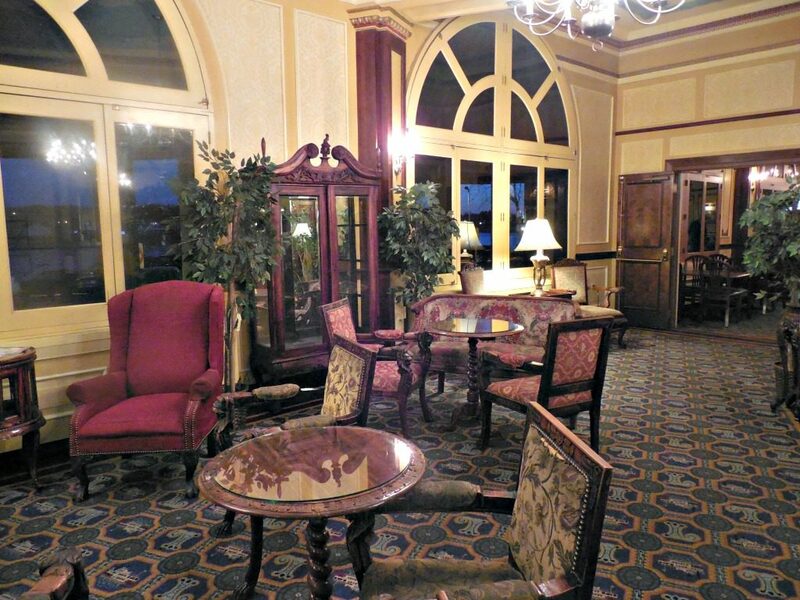 The pics make it look like a very antique style hotel. I don’t think I’ve ever visited Ohio before other than driving through! There is a lot of fun in Ohio! You need to visit! I do too! You’d love it there. Looks like a fun place to explore. The hotel setting looks awesome. A tour of a place like that must be an experience of a lifetime! It was so beautiful and fun! It’s fun seeing some Victorian decor. It would be such a cool xperience to stay at this place. If I’m ever in this area, I”ll be sure to visit this hotel. Yes it was very cool! 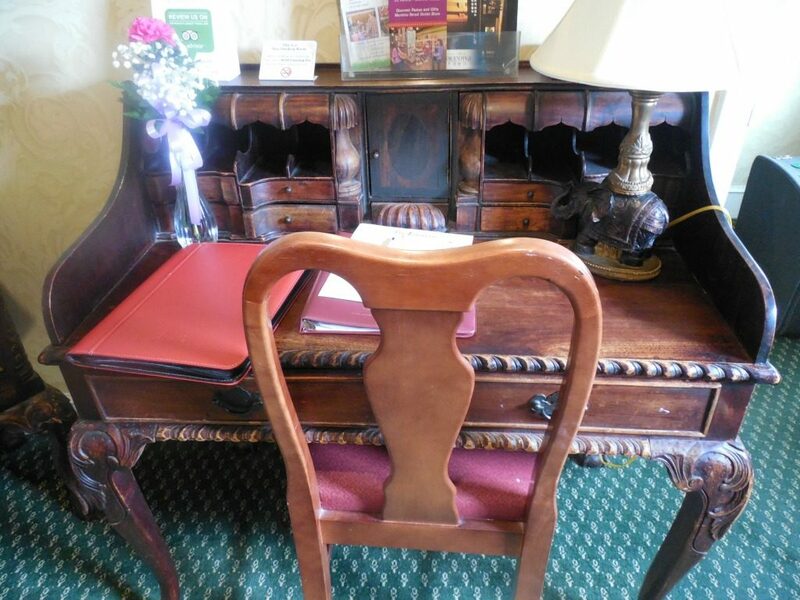 I love antiques, so I would love to stay at The Lafayette Hotel. It’s gorgeous. Also, I am a HUGE fan of ghost tours! The furniture! Wow, it’s just beautiful! I’d be in heaven to just see it. The Lafayette Hotel sounds amazing. I love how many rooms there are to choose from. These rooms look amazing and I love places like this that have such history. Marietta Ohio is a place I am going to have to visit one day for sure. Thanks for sharing this awesome hotel and the gorgeous photos. I do too! There is something for everyone! 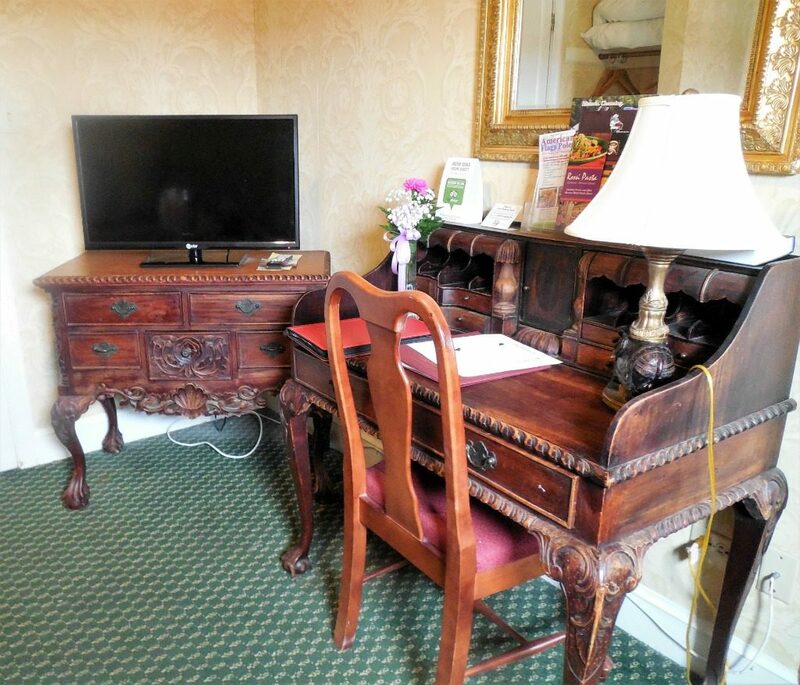 I love the Victorian Style furnishings in this hotel. It makes it look like you just walked into a different time. I would be scared to go to that Hidden Marietta. Ghost hunting is not my thing. It does! You could take a different tour lol! My husband and I are always looking for older hotels to stay at and this one would certainly fit the bill! It’s decor is beautiful and it looks super cozy and inviting! Yes, it is very inviting and comfy! I love how classic they’ve kept this hotel. Looks like a nice place to stay and relax! I do too. Modern furniture just wouldn’t fit. I love the old timey look! I have a trip planned there this summer too! What are the odds?! You will have fun! I can’t wait to hear about how you like it! The room you stayed in is so pretty. I have never been in those types of hotels but would love to someday. Yes, it was lovely and relaxing! I hope you get to go someday too. Now this sounds like a fun place to visit. I need to put this on my list of things to visit. Yes, for sure! There is a lot to do!